You can replace Arc video thumbnails. 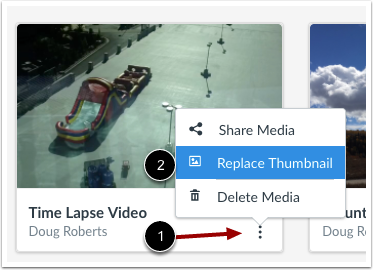 Note: Arc supports custom thumbnails for videos uploaded directly to Arc. View your My Uploads page or Course Collection. Locate the video. Then click the Options icon  and click the Replace Thumbnail link . Locate the file on your computer  and click the Choose or Open button . Previous Topic:How do I add captions to Arc media in Canvas? Next Topic:How do I add comments or replies to Arc media in Canvas? 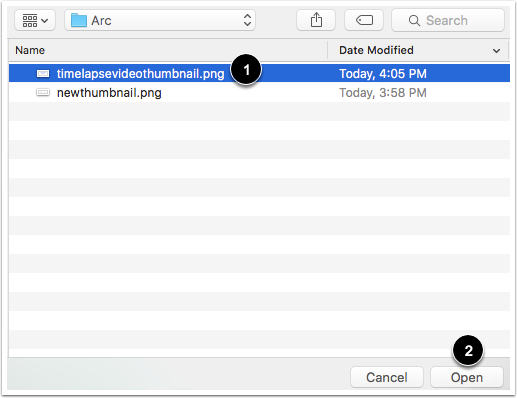 Table of Contents > Canvas and Arc > How do I replace an Arc video thumbnail in Canvas? 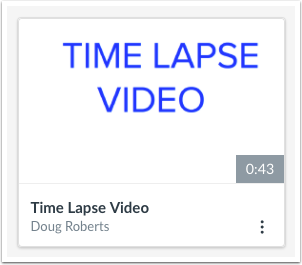 Re: How do I change the thumbnail image of a video?